Our most ambitious live show ever! We pulled together a massive team of theater pros at the Brooklyn Academy of Music's Opera House—nearly 50 singers, actors, dancers and musicians. The result? Journalism turned into a Broadway musical (hear the cast album), into opera. 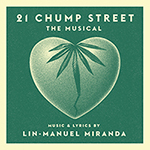 Mike Birbiglia, Sasheer Zamata, Stephin Merritt, Josh Hamilton, Lindsay Mendez, Lin-Manuel Miranda and others. Watch a video of the live performance or download it for $5. Mike's new Broadway show is "The New One," in previews October 25. This story is from his “Thank God for Jokes” show.